1818 Alexander Gowan to Robert Wells deed bk 29-31, p 414. 1802 Henry Gains fr Susan and Robert Featherston – bk 20, p 508. 1838 James Goings to Bartlett Shipp – bk 37, p 242. 1774 July The King vs. Wm Going; recognizance; Philemon Bracket bound in £100 to prosecute; x; x.
defendt – principle bound in £20 security – subpeona for John Lusk for the pros. 1774 Oct The King vs. Wm Going; recognizance; x; Philemon Brackett bound in £100 to prosecute; x; x. 1774 Oct The King vs. Wm Going; assault; true bill; John Lusk, John Stanford; not guilty —principle bound in £20; plea withdrawn – submitted and fined /ld and cost – fees paid to A M A M.
1775 Jan The King vs. William Going; Recognce. ; x; Philemon Bracket bound in £100 to prosecute; x; Discharged. 1778 April The State vs. Danl. Singleton; Recog. ; x; Richd. Singleton prosecutor bound in £100; Principle in £100, Wm. Going in 100; Discharged. 1778 July The State vs. William Going; Recog. ; x; Principle in £100 – Wm. Munro 100; Christopher Walbert bound in £100 to Prosecute; x. Good & Richd. Singleton 250 each; Jonathan Price in £250 to prosecute. The State vs. Wm. Going; Petty Larceny; True Bill; Jonathan Price in £50 —Saml. Wallace in behalf of his wife Sarah Wallace 50; Princple in £300 – Phinehas Creyton & Wm. Henry each 150. 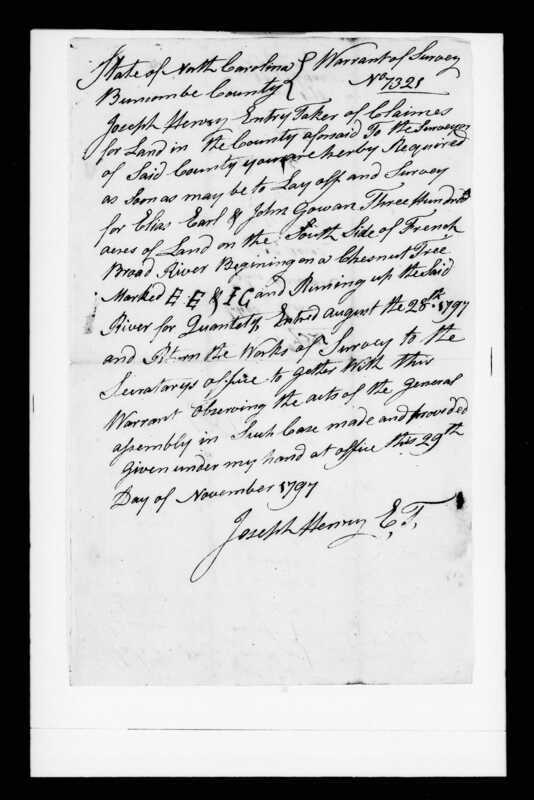 1778 Oct The State vs. William Going; Petty Larceny – 17 recog. ; True Bill; Jonathan Price in £50 Saml. Wallace in behalf of his wife Sarah Wallace 50; Not Guilty – Principal in £300 Phinehas Creyton & Wm. Henry each 150 – Motion in arrest of Judgt. ; Verdict the Jury find the Deft. Guilty in manner & form as charged in the Indictmt. The State vs.s James Cook; Recog. ; x; Princ_l.bound £500 – Perregrinn Magness, Andw. Milliken, John Huddleston 166.. l3..4; Wm. Going bound in £50 to give Evidence. Appeared & Discharged. To answer an assault committed on the body of Wm. Henry & be of Good behaviour to him. Iangford 125 Each to appear at next April’Court; appear’d & Recog. Discharged. Mackness 250 each. To be of good behaviour to 1118w1fe; Appeared & Recog. Discharged. Singleton 250 each —To appear at next court 8; be of good behaviour towards the Subjects of this State; Appeared and Recog. Discharged. Tryon County, North Carolina crown docket July 1769-April 1776. 1779 April The State vs. Wm. Going; Petty Larceny —17 recog. ; True Bill; Jonathan Price £50 – Saml. Wallace in behalf of his wife Sarah Wallace 50; Principle in £250 – Wm. Whitesides & Steven Lanlcford 125 Each; Verdt. in October Term That the Deft. is Guilty in manner and Form as charged in the Bill of Indictmt. Judt. arrested. Verdt. set aside. Deft. paying costs. Costs pd. A. N. Atty. pd. Lincoln County, NC, State Docket. April 1779 – April 1780. p 47. “William Going was one of 116 Rutherford County men who aligned with the Tories during the Revolutionary War. They served in the defeated army of Lt. Col. Patrick Ferguson in the Battle of Kings Mountain. Because of their action they were charged with treason by the Rutherford County Court, and their property was confiscated by the state. It is assumed that all of these men fled the state. “In the battle 225 loyalists were killed, 163 were wounded and 715 were taken prisoner. As to patriots casualties, 28 were killed and 68 were wounded. “The information below comes from “Morgan District, NC Superior Court of Law & Equity; Misc. Records, Book III” and is a transcription of court proceedings against suspected Tories. William Mills, William Going, Arthur Taylor, Moses Whitly, Freeman Jones, Thomas Townsend, Phelemon Hankins, Joseph McDaniel, Jeremiah McDaniel, John Hendrix, James Kelly, James Lemar, William Adams Sen, William Adams Jur, James Upton, Benjamin Adams, Benjamin Adams Junr, John Morgan, Moses Wright, William Henson Jur, Giles Williams, Essex Capshaw, John McDaniel, Joseph Clark, John Thomason, John Owins, Thomas George, William Thompson, Jeremiah Webb, John Walburt, Isaiah Blackwell, William Webb, John Webb, Thomas Camp, Micajah Proctor, John Camp, James Camp, John Camp Jur, David Morgan, William Nettle Jur, Alexander Coulter, Joseph Moore, William Morgan, Thomas Goodbread, John King, Elias Morgan Senr, James Cook Senr, John Goodbread, George Revis, William Duning, Phillip Goodbread Jur, Federick Jones, Isham Revis, John Davice, Neel Wilye, Ambros Mills, George Davice, George Davice Jur, Gideon Rucker, Stophen Walburt, James Chitwood Sen, Joseph Chitwood, Richard Chitwood, William Battle, James Capshaw, John Richardson, Stephen Langford, Joseph Lawrence, Joseph Underwood, Stephen Shelton, Andrew Poor, John Hutson, John Morris, William Hall, Shadrack Nettle, Tho. Whitesides, Elias Brock, Mark Powell, William Henry, Barna King, Giles Reynolds, Samuel Moore, Daniel Singleton, Jonas Bedford, Samuel Thompson, William Green, Isaac Cooper, Abel Langham, Benjamin Bigerstaff, Joseph Baily, Muphord Wilson, Caleb Taylor, Peter Dills, George Cox Jur, Edward Francis, Shadrack Avery, Arthur Owensby, George Cox, John Jones, Samuel Hendrix, John Cox & Joel Cox, David George, John Felts, Jesse Nettle, William Henson Sen, Brock Davice, James Patterson, William Shephard, Benjamin Moored, William Capshaw, Robert Taylor of Whiteoak, all late of the County of Rutherford, Planters, not reguarding the Duty of their Alle-gance to the said State & her laws or fearing the pains & penalties therein Contained on the first day of October in the year of Our lord One thousand Seven Hundred & Eighty with force & Arms in the County aforesaid Wickedly & treacherously entending and Designing as for as in them lay to Overturn the present free Government of this State & reduce the Inhabitants thereof Under the Power of the Army of Great Britain then & now at Open War with this State and the United States of America did then & there with force and Arms feloinously & treacherously Knowingly & Willfully did aid & assist the said King by Joining his Army Commanded by Major [Patrick] Ferguson and by bearing Arms in the Service of the said King Against the Good Government Peace and Dignity of this State; and the Jurors aforesaid on their Oath aforesaid do further Present & say that by their felony and treason by them respective in Manner & form aforesaid Committed have Severally forfeited their Goods & Chattels lands & tenements to the State according to a form of An Act of As-sembly in Such Case made & provided. “LifeNotes: He was a Tory. “From Poldi Tonin: ‘Abstracts of Sales of Confiscated Loyalist Land and Property in North Carolina’ Dewey No. R929.3756P 971A 1989 Rowan and Rutherford Cos. [Morgan Dist. Superior Court Miscellaneous Records–DSCR 205.428.2] : 577. Rutherford Co. Pleas & Quarter Sessions Court second Monday in Jul. 1782 before william Gilbert, James Withrow, Johnathan Hampton, and other justices a Grand Jury say the following people, all late of Rutherford Co. planters, ‘aided and joined’ the army of Maj. Ferguson and are convicted as tories ‘a true bill’ [signed] William Porter, foreman, before Felix Walker. Stephen Langford, (others by surname only) Mills, Goings, Taylor, Whitly, Townsend, Hawkins, McDaniel, Kelly, Lemar, Adams, Morgan, Wright, Capshaw, Whiteoak, Owins, Gore, Thomason, Clark, Blackwell, Webb, Camp, Coulter, Moore, Cook, Goodbread, Jones, Revis, Davice, Chitwood, Rucker, Richardson, Battle, Lawrence, Poor, Morris, Underwood, Whiteside, Hutson. “Rutherford Co.585F p. 105 John Walker esq. on petition vs Ambros Mills, Elias Brock, Thomas Townsend, Jeremiah McDaniel, Joseph McDaniel, Benjamin Biggerstaff, Stephen Langford, Jonas Bedford, James Chitwood, Abram Green & William Green, William Morrison, William Porter, William Withrow, Thomas Welch, James Adair, Robert Rqankin, Stephen Willis, jr., James Gray, James McDaniel of ‘the Cove’, John Twitty, James McDaniel of Broad R. and James Armstrong summoned, impaneled, and duly sworn to try the enquiry: find for the plaintiff against the several defendants and assess damages to L 540 specie and costs. 1793 – Oct 6 – Isabella Stroder’s will of October 6, 1793 names the Stroder children. Two of the named sons were married in Lincoln County, North Carolina. William Goyne lived on Ward’s Creek near First Broad River in eastern Rutherford County [now Cleveland County], which was bounded by Lincoln County to the east. Thus, the conclusion is drawn that William Goyne of Wilkes County, Georgia was the same William Gowen who previously lived in Rutherford County, North Carolina, and that he knew his second wife’s family in North Carolina prior to their move to Georgia. Wilkes Co, Ga and Rutherford Co, NC…..
1793 Oct 6 – will written – Isabella Schroder – will Oct 6, 1793 – bk 1792-01, pg 94. 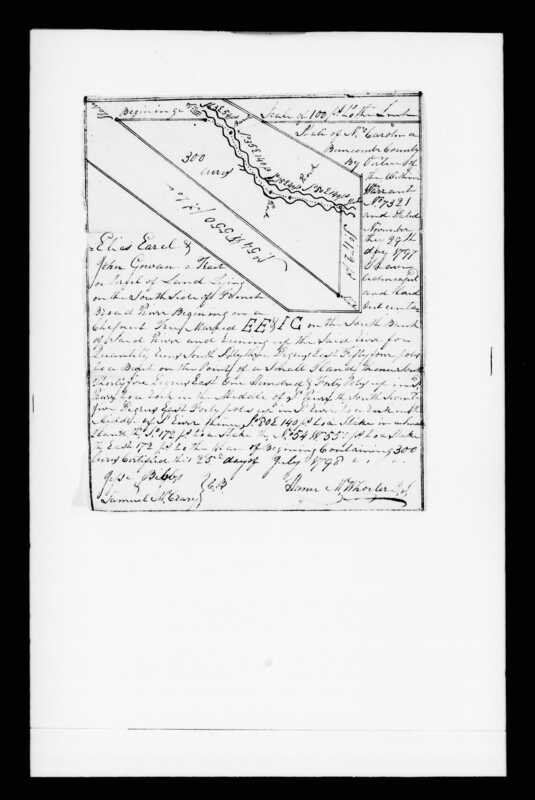 Wilkes County, Ga.
Sale appr – 1794-98, p 48. Wilkes County, Ga. This Indenture made this thrity first day of October in the year of our Lord one thousand seven hundred and ninety five between James Huddleston of the County of Rutherford and State of North Carolina of the one part and Alexander Going of the county and state aforesaid of the other part witnesseth that for and in consideration of the sum of one hundred pounds of No. Carolina to the said James Huddleston by the said Alexander Going in hand paid the receipt and payment is hereby acknowledged the said James Huddleston hath given granted bargained and sold and by these presents do give and grant bargain and sell to the said Alexr Going his heirs and assigns a certain piece or parcel of land containing two hundred acres of land lying and being in the county of Rutherford and State of No. Carolina on Wards Creek including Walberts old improvements where Thomas Robertson Merriday Rober. once lived. beginning at a pine near Walberts line, then with said line south fifty-five east one hundred and ten poles to a black oak, then north eighty-two east eighty poles to a small post oak, then north fifty-five west one hundred and sixty poles to a chestnut in or near McCanleys line; Then to the beginning. It being a tract of land granted to the said James Huddleston by Patent bearing date the ninth day of July 1794. To have and to hold the foresaid two hundred acres of land be the same more or less with the appurtainances and all rights and privileges and improvements to the same in any wise belonging to him the said Alexander Going his heirs and assigns forever and the said James Huddleston for himself his heirs and assigns doth hereby covenant and agree to and with the said Alexander Going that the said Alexander Goings his heirs and assigns shall and may forever hereafter peacibly and quietly have hold occupy and possess the fore said granted lands and improvements without the let or molestation of him the said James Huddleston or any of his heirs or executors administrators or assigns whatsoever and free and clear from all manner of incumberance whatsoever and the said James Huddleston doth oblidge himself his heirs exr’s adm’s and assigns to warrant and defend the lawful claim of all persons whatsoever. In witness whereof the said James Huddleston hath set his hand and affixed his seal the day and year first above written. 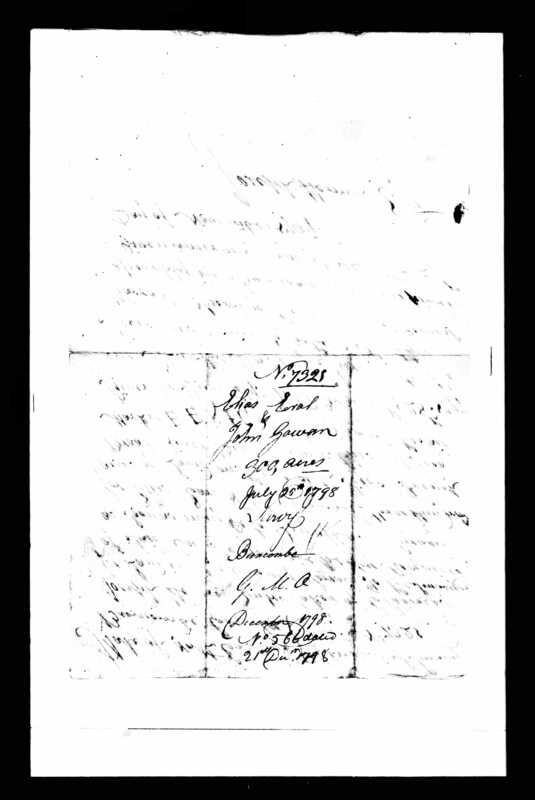 1795 Oct 1 deed date – 1796 Apr 23 filed – Alexander Going fr James Huddleston deed bk M-Q, p. 330. Rutherford Co, NC. Free White Persons – Males – 45 and over: 1 (b. bef 1756). 1808 March 3 – Robard Goans was married to Pegah Newton March 3, 1808 in Rutherford County according to “North Carolina Marriage Bonds, 1741-1868,” Record 1103, bondsman William Hunt, witness Dad Hoyl, Bond No. 133595. Nothing more is known of Robard Goans and Pegah Newton Goans. 1810 – Alexander Going appeared in the 1810 census of Rutherford County, as the head of a household, “over 45” with family. 1810 – Alexander Gowin, Benjamin Gowin and James Gowin were enumerated as heads of households in the 1810 census of Rutherford County, page 103. On Page 104 were recorded James Gowin and William Gowin. 1816 Feb 23 – Alexander Gowan to Robert Wells deed bk 29-31, p 414. Rutherford Co, NC. … between Alexander Gowan of the County of Rutherford and State of North Carolina of the one part and Robert Wells of the County and State aforesaid of the other part… in consideration of the sum of $200 dollars to the said Alexander Gowan by the said Robert Wells in hand paid … Alexander Gowan …. sell unto the said Robert Wells … a certain tract of land containing 200 acres … in the County of Rutherford and State of North Carolina … on Wards Creek, including the house and improvements the said Alexander Gowan now lives on … near Walbert’s line … near McCarley’s line … being a tract of land granted to James Huddleston by pattent bearing date the 9th of July 1794 … Signed: Alexander Gowan. Wits: John Elliott, Hugh Gowan. Rutherford Co, NC. 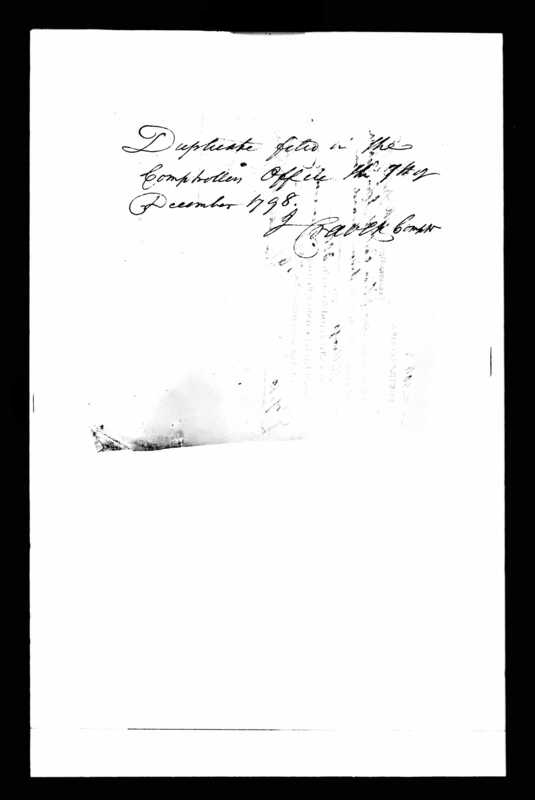 1818 Dec 24 deed date – Hugh Going fr Abraham Brandon deed bk 32-33, p. 193. Rutherford County, NC. … Between Abraham Branan and Hugh Going both of the County of Rutherford and State of North Carolina … Abraham Branan for and in consideration of the sum of $25 …. confirmed unto the aforesaid Hugh Going … one certain tract or parcel of land situate … in Rutherford County on the Waters of Nob Creek … South side of a branch of said Creek … William Swafford’s line … containing 50 acres …. Signed: Abraham Brandon. Wit: Joel Johnston, Edmund Going. Rutherford County, NC. 1820 – A second Elizabeth Gowen, appeared in the 1820 census of Rutherford County, page 55, as the head of a household, ac­cording to the same volume. 1820 – Edward Gowin appeared as the head of a household in the 1820 census of Rutherford County, page 2, according to “Index to the 1820 census of North Carolina”. 1820 – James Gowin appeared in the 1820 census of Rutherford County, page 379 as the head of a household. 1820 – James Gowin appeared in the 1820 census of Rutherford County, page 380 as the head of a household. 1827 Oct 15 – Sophia Gowing was married to Hiram Melton, October 15, 1827, according to “Rutherford County, North Carolina Marriages, 1783-1850,” Record No. 1213, bondsmen James M. Irwin and Thomas Lyles, witness: T. F. Birchett, bond No. 135110. 1854 Nov 23 – Winney Goin was married to Joseph Short November 23, 1854 in Rutherford County according to “North Carolina Marriage Bonds, 1741-1868,” record 1279, bondsman Andrew Hamilton, witness. Daniel Perkins Goins was born in Cherryville, North Carolina in Rutherford County. He was buried in Zoar Baptist Church Cemetery at Shelby, North Carolina. Susannah Elizabeth Watkins Goins survived him and lived near their son, Clyde Goins at Cherryville. She was buried in Patterson Grove Cemetery in Cleveland County, North Carolina. John Martin Goins, son of Daniel Perkins Goins and Susannah Elizabeth Watkins Goins, was born at Cherryville and was buried in Kings Mountain, North Carolina. John Martin Goins cited the names of his grandparents in his father’s death certificate. 1817 Nov 11 – Edward Goin was married November 11, 1817 to Salley Goin, according to “Rutherford County, North Carolina Marriages, 1783-1850.” Joel Johnson was their bondsman and signed Bond No. 133602. David Hay [Hoyl?] was a witness to the marriage of Edward Goin and Salley Goin Goin. The marriage is confirmed by “North Carolina Marriage Bonds, 1741-1868,” record 1103. He might have been of Melungeon ancestry, accounting for the dark color of his skin. Obadiah Gowins and Synthia Gowins do not reappear in the 1860 census of Monroe County, according to Sandy Ratledge who researched the matter. Sandy Ratledge, family researcher of Cleveland, Tennessee in a later dated September 7, 1974 regarded Hugh Goins, bigamist, and Hugh Gowens, bigamist as the same man. Whether Hugh Goins returned to Monroe County after his release from prison or not, is unknown. Prison records of the state penitentiary at Nashville, if still available, might reveal something more of the prisoner. Three families living in adjacent locations in adjoining McMinn County, Tennessee at the time of the 1850 census were obviously related to each other and possibly the bigamist, Hugh Goins. The households were enumerated as Andrew Goins, Household 2198-1516: William Brady, Household 2199-1517 and William Goins, Household 2200-1518. Elizabeth Goins living in the household of Andrew Goins is possibly the Elizabeth Goins who was married April 1, 1820 in Rutherford County, North Carolina to Hugh Goins, the bigamist. William H. Goins, believed to be the first child of Hugh Goins and Elizabeth Goins, was born in 1821 in North Carolina, probably Rutherford County. He was married December 31, 1837 to Martha “Patsy” Hicks by William Rich, J.P. She died shortly after their marriage, perhaps in childbirth. William H. Goins was remarried September 7, 1838 in Blount County byRobert Delzell, J.P. to Rachel Rudd. She was born about 1822. Although the ages do not match, it is possible that this was the household of William Goins who had moved to Davidson County to be near his father who was imprisoned there at that time. Rachel Rudd Goins died about 1854 in Blount County. William H. Goins was remarried October 25, 1858 in Blount County to Susannah “Susan” Shoun who was born about 1842 in Tennessee. She died after 1880. William H. Goins was a farmer and a brickmill laborer. He died after 1880 perhaps in Blount County, Tennessee, according to Sandy Ratledge. Vice Goins, regarded as the first child of William H. Goins and Rachel Rudd Goins, was born about 1839 in Blount County. She was a namesake of Vice Goins Brady, believed to be her aunt. Vice Goins appeared in the 1850 census of McMinn County as an 11-year old living in the household of her parents, No. 2200-1518. Elizabeth Anne “Betsy” Goins, daughter of William H. Goins and Rachel Rudd Goins, was born in August 1840, in Blount County, according to Sandy Ratledge. She appeared in the 1850 census of McMinn County in the household of her parents, No. 2200-1518, as an eight-year-old born in Tennessee. James Franklin Ratledge served as a private in Company G, 59th Tennessee Mounted Infantry Regiment, CSA during the Civil War. He later received a Confederate pension from the State of Tennessee. He died June 7, 1916 in Blount County and was buried in Cedar Point Cemetery, Maryville, Tennessee in an unmarked grave. Elizabeth Anne Goins Ratledge died August 7, 1907 and was buried in Old Mt Harmony Baptist Church cemetery in an unmarked grave, according to Mark H. Hall, a-great-great-grandson of Prairie Village, Kansas and a Foundation member. Lemuel Ratledge, sixth child of James Franklin Ratledge and Elizabeth Anne Goins Ratledge, was born in 1872, probably in Monroe County. He was married to Mary Lee “Mollie” Robinson December 2, 1893. She was born about 1872. He died in October 1932 and was buried in Cedar Grove Cemetery, Athens, Tennessee in an unmarked grave. Mary Mollie Robinson Ratledge died January 27, 1927. Henry Lee Ratledge, only known son of Lemuel Ratledge and Mary “Mollie” Robinson Ratledge, was born February 14, 1905 in Meigs County, Tennessee. He was married about 1918, wife’s name unknown. Acton Ernest Ratledge, son of Harry Lee Ratledge, was born July 23, 1927. He was married about 1948 to Ethel Ruth Coleman, who was born September 23, 1932, the daughter of Winifred Coleman and Mattie Lee Goins Coleman. Ernest Stephen Ratledge, son of Acton Ernest Ratledge and Ethel Ruth Coleman Ratledge, was born March 21, 1949 at Athens, Tennessee. He served four years in the U. S. Navy. Ernest Stephen Ratledge was married December 14, 1969 to Sandra Jo “Sandy” Nipper. In September 1974, Ernest Stephen Ratledge was a senior at University of Tennessee at Chattanooga majoring in business administration and accounting. Sandra Jo “Sandy” Nipper Ratledge, a graduate of Tennessee Wesleyan College at Athena was a teacher at Cleveland Junior High School. They made their home at 4629 Vance Street, Cleveland, Tennessee. Stephen Alexander Goins, son of William H. Goins and Rachel Rudd Goins, was born about 1841 in Blount County. He appeared in the 1850 census of McMinn County in the household of his parents, No. 2200-1518, as a five-year-old born in Tennessee. Stephen Alexander Goins was a private in Company C, Third Tennessee Mounted Infantry Regiment, U. S. Army, as was his brother, Hugh H. Goins, according to Sandy Ratledge. She wrote September 7, 1974. “One of the Civil war stories about him is that he was captured by the Rebs near Sweetwater and very narrowly escaped the noose. Stephen Alexander Goins was married August 10, 1865 in Blount County at age 22, to Nancy Jane Ann Jones. Nancy Jane Anne Jones Goins died in 1868. Stephen Alexander Goins was remarried August 27, 1868 in Blount County to Mrs. Margaret Teresa Hammontree Henry, widow of Samuel L. Henry. A. Goins and James Wolf were their bondsmen. She was born about 1831 in Blount County to James Hammontree and Nancy Divine Hammontree. She died July 25, 1901 in McMinn County and was buried in Buttram Methodist Church Cemetery. Following the death of Theresa Margaret Hammontree Goins, on July 25, 1901, Stephen J. Goins, at age 57, was remarried to Catharine Robinson February 25, 1902, according to McMinn County marriage records. She was born in March 1882 in Tennessee. Stephen Alexander Goins died April 27, 1910 and was buried in Buttram’s Baptist Cemetery with a government marker. Campbell Alexander “Cam” Goins, first child of Stephen J. Goins and Theresa Margaret Hammontree Goins, was born September 2, 1869, probably in Monroe County, Tennessee. He appeared in the 1880 census of Monroe County, Tennessee in the household of his parents in Enumeration District 9, as an 11-year-old. He was married to Florence Robinson about 1891. Florence Robinson Goins died of tuberculosis a few years later. Campbell Alexander “Cam” Goins was married to Lily Mae Cranfield January 18, 1899. He died October 14, 1946 and was buried in Buttram’s Baptist Church Cemetery, Athens, Tennessee. Lily Mae Cranfield Goins died May 6, 1971 in Monroe County, Tennessee. Belle Goins, first child of Campbell “Cam” Goins and Florence Robinson Goins, was born about 1893. She was married to Simon Bogess about 1913. Simon Bogess and Belle Goins Bogess reared Samuel Goins and William Goins. Hester Goins, second child of Campbell Alexander “Cam” Goins and Florence Robinson Goins, was born about 1896. Eliza Goins, first child and a twin of Campbell Alexander “Cam” Goins and Lily Mae Cranfield Goins, was born April 21, 1905. About 1925 she was married to Willis Gamaliel Coleman. Laura Goins, second child and a twin of Campbell Alexander “Cam” Goins and Lily Mae Cranfield Goins, was born April 21, 1905. About 1925 she was married to Arlee Key. Later Laura Goins Key was married to James White. Mitchell Goins, third child of Campbell Alexander “Cam” Goins and Lily Mae Cranfield Goins, was born February 3, 1908. He was married to Janie Elizabeth Coleman about 1928. He died September 11, 1966. Children born to Mitchell Goins and Janie Elizabeth Coleman Goins are unknown. John Goins, fourth child of Campbell Alexander “Cam” Goins and Lily Mae Cranfield Goins, was born March 22, 1909. He was married about 1929 to Elizabeth Emerson. Of the descendants of John Goins and Elizabeth Emerson Goins nothing is known. Ethel Ruth Coleman, third child of W. A. Coleman and Mattie Lee Goins Coleman, was born September 23, 1932. She was married about 1948 to Acton Ernest Ratledge, her cousin. For details of their life, see his section. Ollie Goins, sixth child of Campbell Alexander “Cam” Goins and Lily Mae Cranfield Goins, was born in April 1911. About 1931 he was married to Pauline Gregory. Children born to Ollie Goins and Pauline Gregory Goins are unknown. Homer Goins, seventh child of Campbell Alexander “Cam” Goins and Lily Mae Cranfield Goins, was born about 1914. He was married about 1934 to Nelle Cabe. Of Homer Goins and Nelle Cabe Goins nothing more is known. Isaac Goins, eighth child of Campbell Alexander “Cam” Goins and Lily Mae Cranfield Goins, was born about 1917. He was married first to Idella Sneed and second to Wanda Smith. Children born to Isaac Goins, Idella Sneed Goins and Wanda Smith Goins are unknown. George H. Goins, son of Stephen Alexander Goins and Margaret Hammontree Goins, was born in 1871, probably in Monroe County. 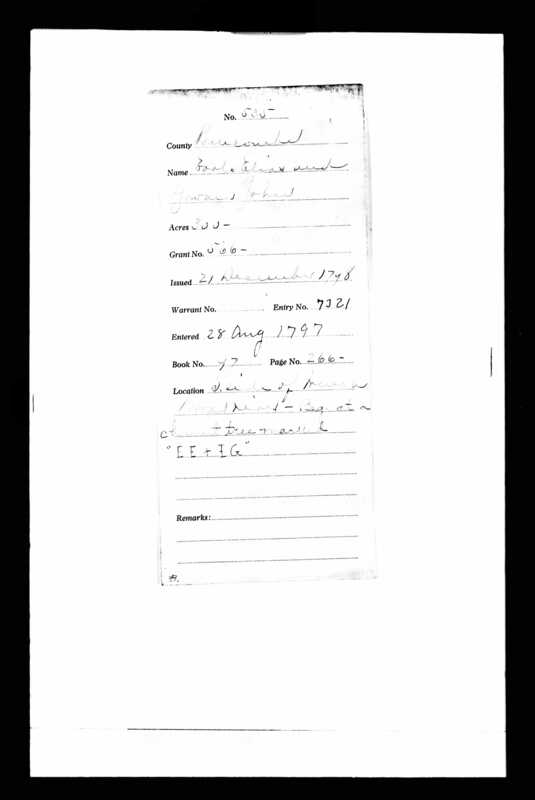 He appeared in the 1880 census of Monroe County, Enumeration District 9, in the household of his parents as a 9-year-old. George H. Goins was “killed by a train in Cleveland, Tennessee during the 1950’s, according to a message written March 2, 2002 by Frances Belcher, a descendant. James R. Goins, believed to be a son of Stephen Alexander Goins and Margaret Hammontree Goins, was born in 1875, probably in Monroe County. He appeared in the 1880 census of Monroe County Enumeration District 9, in the household of his parents as a five-year-old. Hugh H. Goins, son of William H. Goins and Rachel Goins, was born August 30, 1849, probably in McMinn County. He appeared in the 1850 census in the household of his parents as a one-year-old. He served as a private in Company C, 3rd Tennessee Mounted Infantry Regiment, U.S.A. He was married September 23, 1865 in McMinn County to Narcissa C. Blackwell. Children born to Hugh H. Goins and Narcissa C. Blackwell Goins are unknown. He was married June 12, 1868 to Belzonia Rudd in Blount County, Tennessee by Andrew Carpenter, justice of the peace. Samuel Russell Goins, regarded as a son of Hugh Goins and Belzonia Rudd Goins, was born about 1869. Samuel Russell Goins was married November 25, 1888 to “Nancy A. Willburn,” according to Blount County Marriage Book 2, page 274. Hattie E. Goins, daughter of Samuel Russell Goins and Nancy A. Wilburn Goins, was born November 5, 1899. She was married about 1920, husband’s name Jacoups. William Henry Goins, son of William H. Goins and Rachel Rudd Goins, was born in 1851, probably in McMinn County, Tennessee. He appeared in the 1880 census of Monroe County, Tennessee living in the household of Stephen Alexander Goins, his brother. Vice Goins, daughter of Hugh Goins and Elizabeth Goins, was born in 1825 in North Carolina, probably Rutherford County. It is believed that she was married in Tennessee to William Brady about 1846, probably as his second wife. It is speculated that Mrs. Vice Brady was the second wife of Willie Brady and the mother of Nancy Brady and Rachel Brady only. He reappeared in the 1850 census of Monroe County in the home of his step-mother, Peggy Goins, Household No. 758 as a 20-year-old laborer who was born in Tennessee. Alfred Goins, believed to be the third child of Hugh Goins and Elizabeth Goins, was born in 1833, probably in Monroe County. He appeared in the 1840 census of his father’s household, page 195 in Monroe County as a “white male, age 5-10.” He reappeared in the 1850 census of Monroe County, Tennessee in the household of his step-mother, Peggy Goins, Household No. 758 as a 17-year-old born in Tennessee. On September 26, 1856 Alfred Goins was married to Elizabeth Stone by G. Milton Hicks, Esquire, “all of Monroe County”, according to the “Athens Post”. “Alfred Govens” obtained a license to marry to Elizabeth Stone September 17, 1856, according to “Monroe County, Tennessee Records 1820-1870” by Reba Bayless Boyer. It is believed that Alfred Goins served in the Fourth Alabama Cavalry Regiment in the Civil War. 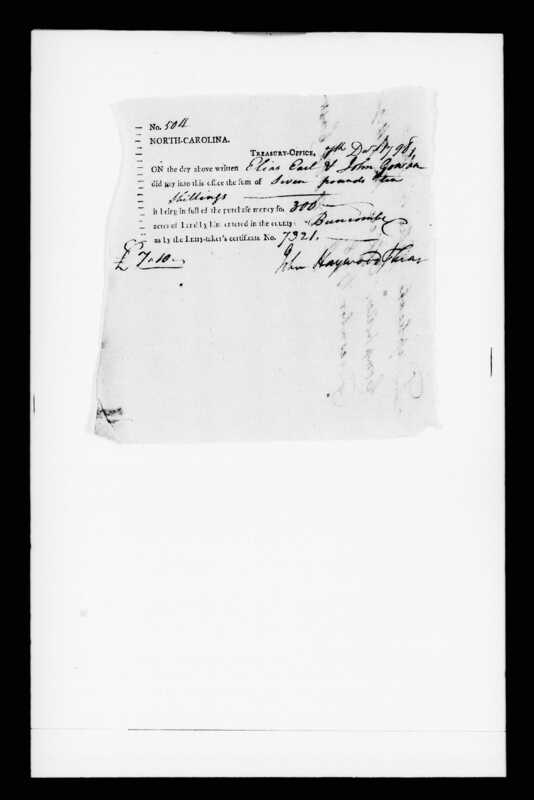 Alfred Goins of Hardin County, Tennessee applied to the State of Tennessee for Confederate Pension No. 10394, as a veteran of the Fourth Alabama Cavalry Regiment. Elizabeth Goins in the above enumeration is believed to be the mother of Thomas Goins and James Goins. She reappeared in the 1850 census of Monroe County in the household of her step-mother, Peggy Goins, Household No. 758 as a 14-year-old born in Tennessee. Roda A. Goins was married to James M. Hill December 17, 1874 in Monroe County, according to “Monroe County, Tennessee Records” by Reba Bayless Boyer. If this individual is Rody Goins, above, then she was married at age 38. James Goins, believed to be the sixth child of Hugh Goins and Elizabeth Goins, was born in 1838, probably in Monroe County. He appeared in the household of Andrew Goins, Household No. 2198-1516 in the 1850 census of McMinn County as a 12-year-old. 1816 Feb 23 – On February 23, 1818 “Alexander Gowan of Rutherford County” conveyed 200 acres of land to Robert Wells of the same county. Consideration was $200, according to Rutherford County Deed Book 29, page 31. The deed was signed with an “X” and witnessed by Hugh Gowan, who also signed with an “X,” suggesting both were illiterate. 1859 – G. A. Gowan was named executor of the estate of William Cunningham, deceased, in Monroe County in September, 1859. 1841 Aug 2 – John Going was married to Nancy Jane Thompson August 2, 1841, according to “Monroe County, North Carolina Records” by Reba Bayless Boyer. Children born to John Going and Nancy Jane Thompson Going are unknown. 1782 – William Going was one of 116 Rutherford County men who aligned with the Tories during the Revolutionary War. They served in the defeated army of Lt. Col. Patrick Ferguson in the Battle of Kings Mountain. Because of their action they were charged with treason by the Rutherford County Court, and their property was confiscated by the state. It is assumed that all of these men fled the state. In the battle 225 loyalists were killed, 163 were wounded and 715 were taken prisoner. As to patriots casualties, 28 were killed and 68 were wounded. The information below comes from “Morgan District, NC Superior Court of Law & Equity; Misc. Records, Book III” and is a transcription of court proceedings against suspected Tories. William Mills, William Going, Arthur Taylor, Moses Whitly, Freeman Jones, Thomas Townsend, Phelemon Hankins, Joseph McDaniel, Jeremiah McDaniel, John Hendrix, James Kelly, James Lemar, William Adams Sen, William Adams Jur, James Upton, Benjamin Adams, Benjamin Adams Junr, John Morgan, Moses Wright, William Henson Jur, Giles Williams, Essex Capshaw, John McDaniel, Joseph Clark, John Thomason, John Owins, Thomas George, William Thompson, Jeremiah Webb, John Walburt, Isaiah Blackwell, William Webb, John Webb, Thomas Camp, Micajah Proctor, John Camp, James Camp, John Camp Jur, David Morgan, William Nettle Jur, Alexander Coulter, Joseph Moore, William Morgan, Thomas Goodbread, John King, Elias Morgan Senr, James Cook Senr, John Goodbread, George Revis, William Duning, Phillip Goodbread Jur, Federick Jones, Isham Revis, John Davice, Neel Wilye, Ambros Mills, George Davice, George Davice Jur, Gideon Rucker, Stophen Walburt, James Chitwood Sen, Joseph Chitwood, Richard Chitwood, William Battle, James Capshaw, John Richardson, Stephen Langford, Joseph Lawrence, Joseph Underwood, Stephen Shelton, Andrew Poor, John Hutson, John Morris, William Hall, Shadrack Nettle, Tho. Whitesides, Elias Brock, Mark Powell, William Henry, Barna King, Giles Reynolds, Samuel Moore, Daniel Singleton, Jonas Bedford, Samuel Thompson, William Green, Isaac Cooper, Abel Langham, Benjamin Bigerstaff, Joseph Baily, Muphord Wilson, Caleb Taylor, Peter Dills, George Cox Jur, Edward Francis, Shadrack Avery, Arthur Owensby, George Cox, John Jones, Samuel Hendrix, John Cox & Joel Cox, David George, John Felts, Jesse Nettle, William Henson Sen, Brock Davice, James Patterson, William Shephard, Benjamin Moored, William Capshaw, Robert Taylor of Whiteoak, all late of the County of Rutherford, Planters, not reguarding the Duty of their Alle­gance to the said State & her laws or fearing the pains & penalties therein Contained on the first day of October in the year of Our lord One thousand Seven Hundred & Eighty with force & Arms in the County aforesaid Wickedly & treacherously entending and Designing as for as in them lay to Overturn the present free Government of this State & reduce the Inhabitants thereof Under the Power of the Army of Great Britain then & now at Open War with this State and the United States of America did then & there with force and Arms feloinously & treacherously Knowingly & Willfully did aid & assist the said King by Joining his Army Commanded by Major [Patrick] Ferguson and by bearing Arms in the Service of the said King Against the Good Government Peace and Dignity of this State; and the Jurors aforesaid on their Oath aforesaid do further Present & say that by their felony and treason by them respective in Manner & form aforesaid Committed have Severally forfeited their Goods & Chattels lands & tenements to the State according to a form of An Act of As­sembly in Such Case made & provided. Benjamin Gowan, age 25-45, appeared in the 1810 census of Rutherford County as the head of a household. Benjamin Gowan, age 25-45, appeared in the 1810 census of Rutherford County, page 378 as the head of a household. (no good indexes – so will need to go page by page). Mary Adelaide Gowan and John Gowan. devisees of T S Woodson – June 23, 1906. 1841 Oct – Rebeccah Gowen to Enoch Hall – Deed – 150 acres, Beaverdam Cr. bk E, p 267. Haywood Co, NC. “Thomas Goanes, 100 acres, 1802,” page 115, was included in a “List of Grants for lands in Buncombe County which have been perfected since and including April 1802 to the 1st of June, 1807,” according to “Transylvania Beginnings: A History” by Mary Jane McCrary. “William Gonas [Goans], 100 acres, 1802,” page 114, was included in a “List of Grants for lands in Buncombe County which have been perfected since and including April 1802 to the 1st of June, 1807,” according to “Transylvania Beginnings: A History” by Mary Jane McCrary. Residents of Asheville, North Carolina in September, 1971, according to the telephone directory include: Louis L. Gowan, 322 Riverview Drive; K. A. Gowan, Mt. Carmel Road; Ervin Gowan, 33 Camp Ground Road; and Mrs. Ernest R. Gowan, Leicester Highway. Lon Hugh Gowan, with residence at 21 Fairview Avenue, Biltmore, North Carolina, the address of Mrs. E. U. Gowan, was a sophomore theology student at Southern Methodist University, living at 3409 Binkley, Dallas, Texas, according to the 1959 student directory. Mrs. E. U. Gowan continued there in 1971, according to the telephone directory. William Gowan who was born about 1816 in South Carolina was married in Buncombe County about 1843 to Vina Russell, according to the research of Richard Gosnell of Spartanburg County, South Carolina. Vina Russell Gowan was born in Tennessee in 1826. They lived near Warm Springs [now called Hot Springs], North Carolina. Daniel N. Gowan, son of William Gowan and Vina Russell Gowan, was born in Buncombe County in 1844. He died in 1898 and was buried in Bonnie Hill Church Cemetery, according to Richard Gosnell. James H. Gowan, son of William Gowan and Vina Russell Gowan, was born in Buncombe County in 1848. When he died he was buried in Bonnie Hill Church Cemetery. William R. Gowan, son of William Gowan and Vina Russell Gowan, was born in Buncombe County in 1849. Martha Gowan, daughter of William Gowan and Vina Russell Gowan, was born in Madison County, North Carolina in 1852. John B. Gowan, son of William Gowan and Vina Russell Gowan, was born in Madison County in 1853. He was buried in Bonnie Hill Church Cemetery. Frank L. Gowan, son of William Gowan and Vina Russell Gowan, was born in Madison County in 1859. Jefferson Gowan, son of William Gowan and Vina Russell Gowan, was born in Madison County in 1861. Sallie Gowan, daughter of William Gowan and Vina Russell Gowan, was born in Madison County June 26, 1865. She was married about 1884 to George R. Ellenburg. She died February 14, 1936 in Spartanburg County, South Carolina and was buried in Cannon’s Campground United Methodist Church Cemetery, according to Richard Gosnell. Alexander Gowan, son of William Gowan and Vina Russell Gowan, was born in Madison County in 1867. Pleasant Linsey Gowan purchased land jointly with N. B. Gowan in 1890, according to Buncombe County deed records. Pleasant Linsey Gowan released his 2/3 interest in the land in 1895, and N. B. Gowan sold his land in 1896, according to the research of LaFay E. Gowan of Birmingham, Alabama. Peter B. Gowing lived at 24 Harris Avenue, Asheville, North Carolina, according to the 1871 telephone directory.